Taiwanese computer industry news magazine DigiTimes notes that cooling module maker Yen Sun Technology has started to supply its fans to the auto industry. The firm has sought to fill the gap as the twin painful prongs of the PC industry decline and fanless computer design popularity spiked its order books. Yen Sun's fortunes have already turned for the better, as it made this strategy shift earlier this year; a return to profitability is evident in its second quarter 2014 results. DigiTimes reports that the fan maker has already started to supply its products to European car makers including the likes of Volkswagen, Daimler AG and BMW. As hinted at in the intro, Taiwan's Yen Sun was seeking to diversify with the downturn experienced in the PC market hurting its business. 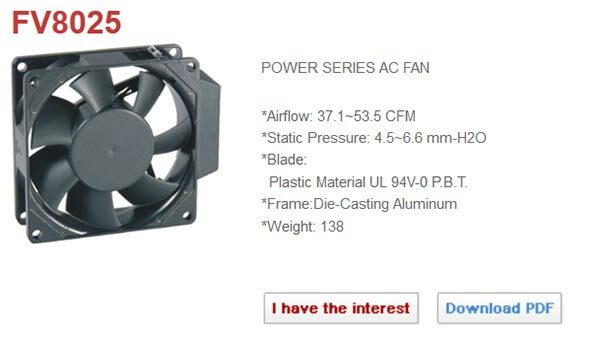 On top of that 'trend', PC component builders have been using cheaper fans sourced from Chinese companies. The fact that more and more fanless computing device designs are being made and becoming popular is also an unwelcome trend for the likes of Yen Sun. Market watchers note that Yen Sun has also recently branched out into the server cooling business, supplying such equipment to Inventec since last year. If you think you haven't got a Yen Sun fan in your PC system you might be interested to know that the firm has made fans that are branded under both the Corsair and Akasa names and probably more. I would expect Noctua for the BMW.